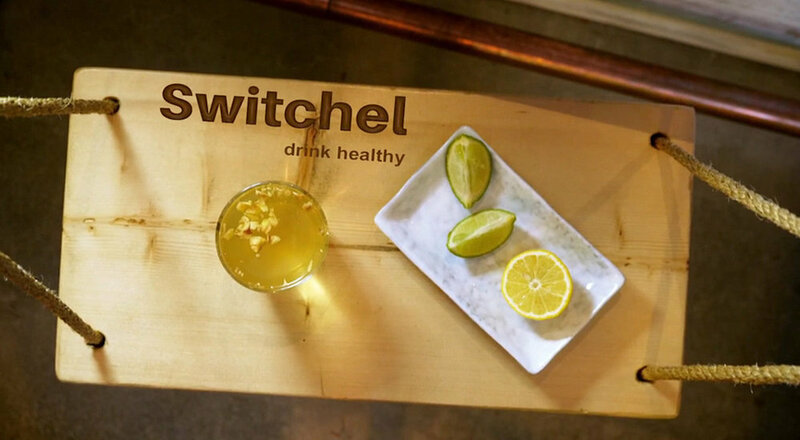 Switchel is hot on the heels of Kombucha as the new "it" drink for 2018. Find out all about it in our latest Buddha-Full TV Segment. 2 tablespoons of unfiltered apple cider vinegar. 2-inch piece of fresh ginger root. 2-inch piece of fresh tumeric, finely minced. 1/2 of a fresh lime, juice and zest. The ginger that makes up the switchel is a natural inflammation reducer. Inflammation is the root of most diseases, and it causes physical symptoms like skin problems and digestive issues. Electrolytes are nutrients or chemicals in your body that help it perform specific functions, like regulating your heart beat or telling your legs to move. So it's obviously important to keep your electrolytes up! Benefits of apple cider vinegar include all the healing compounds like potassium, magnesium and probiotics. It balances your body's pH levels and as a liver and lymphatic tonic it detoxes your body.